Waterfall Info: This is the main waterfall on Rogers Branch, a small tributary of High Shoals Creek. Additional cascades lie above and below the main drop. 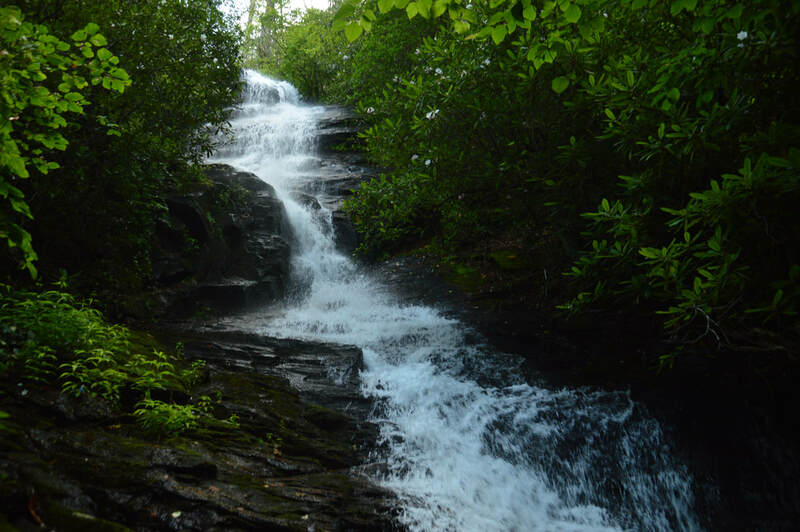 Access Info: This waterfall is accessed by a short but extremely steep goat path from Tray Mountain Road (FS 283).